Life can be a funny thing, sometimes. I started writing this review December 18th, 2015, after I'd slept through a midnight showing of Force Awakens in IMAX. Then I got this crazy idea that everyone on the staff should go write their own impressions of it... before I realized there are like two of us (or four, depending on what's going on), and we have jobs and kids and lives. So it just sort of fell by the wayside as we went about reviewing other things. My initial thoughts were captured in our forum thread on it, as well as tucked away in the reviews for a lot of the Force Awakens sets. Since after watching this movie, one of the first things I did was run out and buy the new Falcon and Kylo Ren's shuttle... it stands that I really liked the movie. I'm under no pretension that this was the greatest Star Wars movie of all time (obviously, that's Jedi, given my love of Ewoks). At the same time, it seems pretty popular to throw shade at this particular movie... be it because of the (intentional) similarities between it and A New Hope, the involvement of Disney, or for the people that stopped enjoying anything Star Wars made after 1983. When I was writing reviews for the original and prequel trilogies back before this came out, starting with Episode I and working up to the good ones, I was all prepared for the time when I got to The Force Awakens review and had to rip into it. The odds of it working were stacked against it for a whole variety of reasons. It was Disney, who's focus is always going to be on generating merchandise over storytelling (not that they don't tell a story). It was Star Wars, where half of the existing films are considerably worse than the rest. It was JJ Abrams, who has already ruined a lot of Star Trek for fans. There had also been some pretty heavy-handed actions by Disney and Co. leading up to it, issuing takedowns and threats, etc. ... is that it was actually a pretty good movie. I'm not going to bother with spoiler warnings... if you haven't seen this in the past two years, you're not going to. This review isn't for you, and you're probably already ranting about it in the comments based on what I put above about it being "pretty good." At least one of our forum members, who I believe hates everything, uses every opportunity he can to complain about all things Star Wars since 1980, and Disney in particular. I take a certain amount of humor in this idea that Disney has somehow been whoring out Star Wars since they got their hands on it, as if that wasn't the only reason that Lucas even made Star Wars movies. I mean, the single smartest thing he ever did was secure the merchandising rights for the films before he set off to make them. Sure, the films themselves have made several boat loads of money, but they don't hold a candle to what the rest of this stuff. I mean, the whole reason this site exists is because Lucasfilm was willing to license it to what was a relatively minor toy manufacturer at the time (everyone had heard of them, sure, but they held nothing compared to the big ones they have since choked out like a Hutt). There's something amazing about going to the theater and watching a Star Wars movie, even though when Force Awakens came out it was a 50/50 chance you were going to see a good movie when you did it. I still remember what it was like to go to it, the first new Star Wars film in 11 years at the time. I went with a good friend of mine whom I see most movies with, and I'd secured the tickets for the first IMAX 3D showing after the meltdown that was purchasing tickets for TFA. The seats weren't the best, but they weren't awful. We were positioned at the center of the theater at pretty much the exact point where your field of view took in the entire screen edge-to-edge. That may sound cool, but it also means that you sit entirely locked in place for the entire film when you take it all in. Much like how the ultimate judgement of a LEGO set is past the part count, the accuracy, or the figure selection and really just the reaction to holding the complete set in your hands that first time... how I feel about TFA is influenced greatly by the fact that I sat there for the 2+ hours of the movie latched to the screen. My back was killing me after the film, but it was worth it entirely. That's not to say it's a perfect film by any means. In fact, it really missteps almost right out of the gate with the addition of Lor San "Who the Hell is This?" Tekka. I get, from a film perspective, where they were trying to go here, but it feels like a huge missed opportunity to use a new character who is basically a redshirt to introduce us to two new characters. One of the best ideas I heard after this movie came out was that this character should have been someone from the prequels or original trilogy. If I have anything that worries me about Abrams coming back for Episode IX, it's that he has been open about hating the prequels and didn't use them for anything of note in this movie. I mean, there was a mention of a Clone Army but that was about it. You know who he should have used? Jar Jar Binks. I know others have have suggested something similar, or Lando, or who knows who else. But Jar Jar could have been "toned" down from his awfulness of Episode I to something more like Episode III, or maybe even something more muted. Make it so he had spent his entire life since the events of Revenge of the Sith trying to make amends. And then he gets cut down for his actions... You get to advance the story and give some pretty huge fan service along the way. The shaky start is fixed very quickly after we get our introductions to the new cast that will be leading Star Wars going forward. More than that, a tone is set at the start that is very different from what we saw in either the original or prequel trilogy when we see the First Order show up. For one... they are legitimately intimidating. We see them mow down that village at the start, and actually hit things. Sure, their tactics are far more about intimidation than survival, because that was a rather ridiculous strategy in landing over the hill and walking in. More than that, we see it happen more than once, because later when Poe and Finn, and Finn and Rey's escape from Jakku. TIE fighters can hit things, Stormtroopers are only missing because they're trying to capture them alive. Speaking of the First Order, a common knock on the ship design and selection in the movie. Everything we see, for the most part, is derivative of something that was in the Original Trilogy. In truth, for me, that makes far more sense than the fact that we saw new ships and designs between each of the prequels. I always draw a common parallel to how military technology works in the real world. New stuff gets introduced, sure, but things stay in service for decades or longer, it gets refined and improved upon. The TIE Fighters and X-Wings were proven platforms so it makes sense they would continue to use and improve them. The new cast, though, is what makes this movie, ultimately. There is a much different tone set when Poe is captured by the first order, with jokes being through around. It's a humor that I love, despite my total lack of sarcasm in anything I write, and it's also a clear note that what we are going to see from this movie in writing and dialog is unlike anything the previous movies gave us. The one-liners are gone, thankfully, and we have something that people would actually say in their place. The movie, most certainly (purposefully) borrows plot beats from A New Hope, but it is a vast oversimplification to call it a ripoff of Episode IV. Even the basic tone, where A New Hope is just that, the hope that Skywalker brings, the Force Awakens is far more about the loss of it. It's a story about failure, on multiple fronts. Luke's failure building the new Jedi, Leia's failure to make the Republic understand the threat the first order poses, and Han's failure to his son. It's those failures that drive the entire movie, where in A New Hope what drove them was more or less "the good fight." Episode IV was a rather simple hero's journey. It's far more complex here... we get to follow it for Rey and Finn, both, and in far different ways. With Rey, we see her get a mentor in Han... and I think I would have been very cool with watching the whole series go to just the galactic journeys of Han, Chewie, and Rey. In the end, we don't get to see her make the choice until just before the credits roll. That being said, one of the big problems in the movie is caused by the fact that they put so much into this movie. A New Hope had a benefit in that there was no background needed for it at all... it was all brand new. 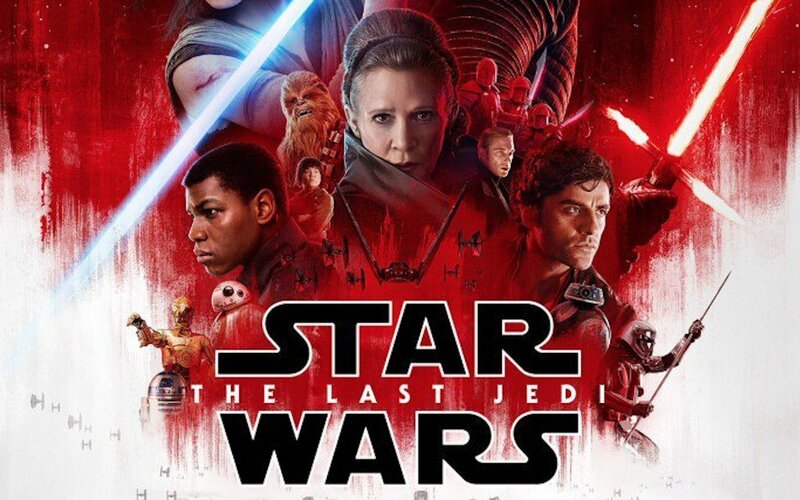 Much like how the prequels had to deal with the fact that we always knew what was going to happen, this movie has the extra burden of we knew what happened before and it had to try and there are a lot of blanks to fill in on what happened between the celebrations we saw in Jedi and the fact that the war is seemingly still on. Those blanks mean that there is a lot of character development time is linked directly to painting the last twenty years, and there was never going to be enough time for it. Disney tries to address this, to a point, with the new (and better) way that canon is handled now. Blanks are filled in with the books, the comics, and other materials. So... let's talk about the common argument about Rey being a Mary Sue, and the complaint about her fight at the end of the movie with Kylo Ren (who had taken a pretty serious injury from Chewie before hand). The idea that she could stand toe-to-toe with Kylo, or fly the Falcon, or do any of the other stuff we see, isn't honestly all that different than what we saw with Anakin in Episode I (or III and the Dark Side) or Luke in A New Hope and Empire. The force awakens and gives someone far more ability than they would normally have. I mean, even the music keys in for it, because the same theme played here that we saw in the previous films when it happens. Even in that final fight, Ren was basically toying with her for the majority of the fight, clearly the superior fighter, in a very similar fashion to what we saw with Luke and Vader. It wasn't until the moment she embraced the force she was able to bring it up to any sort of parity, and that whole thing was short lived before the whole planet kerploded. Ultimately, there's far more we don't know about the character, by design. We saw the force using her, much like we had before. We saw her using the skills she needed to survive on Jakku, and the hints that there quite clearly is a lot she does not remember about herself. The whole flashback turns the fact that we don't have time to fill into the blanks for her as something intrinsic to the character. Unlike pretty much anyone else in the previous Star Wars movies, we have no idea who Rey is or if there is an explanation. We get clues, sure, but they could all be red herrings or just conjecture... "That lightsaber was Luke's, and his father's before him, and now, it calls to you" is what Maz says to Rey after the vision, and it could be they already told us who she is. At the same time, no one that should recognize who she is does. If Rey was a Skywalker I have to assume one of the main cast would have reacted in some way. The biggest weakness to the movie, and where the knockoff Episode IV critique really does have some validity, is in the whole Starkiller base. Han even makes the point "so it's bigger, so what" when they are talking about it, but it turns out that the Imperial types have really committed to this whole "weapons of ridiculous destruction" thing. The weapon itself is stupid, and the very concept has far too many problems. The Death Star was somewhat silly, but at least you could wrap your head around the idea of "really powerful laser." How does the base even work? It was firing at multiple systems that were "far away" according to Hux, and we saw it across star systems presumably thousands of light years apart. Sure, visually it looks cool, but spend any time thinking about it and it is just stupid. It feels like there could have been a better way to go about this very sudden escalation in hostilities between the First Order and the Resistance (given that the Republic is basically wiped out). The whole thing feels without stakes, and that hurts the end of this film. Sure, the X-Wing pilots are dying, the we know the good guys are going to blow it up at this point because that's what's happened in nearly half of all Star Wars films at this point. What the Starkiller Base does set up is for us to have the moment we all expected to come, yet that foreknowledge in no way softens the blow, in the confrontation between Han Solo and his son. Anyone who knows a bit about Harrison Ford knows he's wanted that character dead since Empire. Though he says he didn't ask for him to be killed off, I have to think it was key to making it actually happen. Here's what I would have done to try and fix this problem, and at the same time, fill in some of the backstory. Skip the earlier destruction of the Republic system, and give us the scene we needed where Leia is trying to make her case that the First Order should be opposed. That's actually what happened, if you read some of the books or comics... Leia was more or less forced out and the Republic wanted a diplomatic agreement with the First Order and ignored the threat. Then, make the battle go down in a similar way. Han, Finn, and Chewie go to rescue Rey / sabotage the base, the X-Wings show up to try and destroy it, etc. And have them succeed... but not before it fires the shot that will blow up the Republic system. Have the resistance succeed in blowing up the weapon, but failing in preventing it from being used. Plus, you get the benefit of following a closer parallel to the slow burn sudden explosion that we saw with Ben and Han. The whole movie itself, is pinned to trying to answer one question... "where is Luke Skywalker." Likely that is the same question that all of us had watching the movie and waiting for him to show up. He was there in the flashback, and in the last minute, having never said a word. I mean, there were extras with more stuff to do on the film. For me, at least, what it managed to do was get me excited about Star Wars and wanting to see more... something that the prequels never did. Sure, I went and watched them, but it never had the draw that the original movies did for me. This movie felt like it had a spark of that back, something that could certainly be built up into something greater. We got new characters that all had far more charisma and presence than we got in the three movies that were released before it. The Prequels weren't entirely bad, but they had the incredible ability to make great actors look mediocre and drain the chemistry out of anything. With this, we saw legitimate chemistry between actors and characters, and it made you want to see more of them. Even BB-8, who really looked like a just a shameless marketing stunt before the release, had a personality that simply shined. 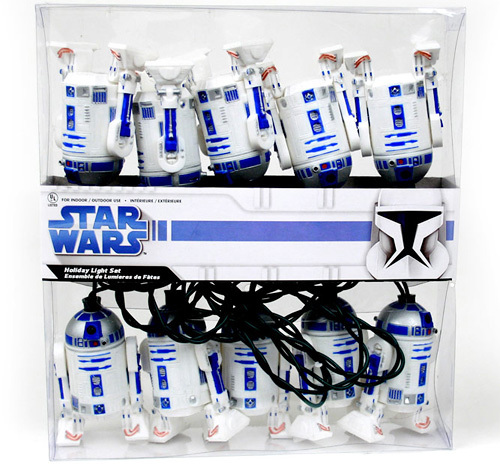 This movie also represented the introduction of a new "line" within Star Wars sets. It used to be we got OT and PT sets, with the occasional EU set. When Clone Wars came along, it replaced most of the PT stuff, and when Rebels showed up, it displaced a lot of the OT. Here, though, we just got a mixture of all three. The initial sets were somewhat lackluster. The First Order TIE and Poe's Halloween X-Wing were standouts, but Kylo Ren's shuttle was junk and most of the rest were somewhat forgettable. Curiously, two years later, nearly all of those sets are still on the market, as well as some follow-up sets. Unfortunately, while Force Awakens was visually stunning, it just did not lend itself to a great number of remarkable sets. Instead, we had a color reskin within a few months of the first wave. The first big set was the UCS Millennium Falcon, which would be generous to call a cluster at this point in how its been handled (not to mention the crazy price)... and it had to share it with the OT. We've received our first wave of Last Jedi sets already, and while I haven't picked them up, the couple we've reviewed were not impressive. I hope that the movie is hiding better secrets that will show up in the future to wow us, but it seems like there is a big disconnect between the quality of the films and the quality of what we get for them. When I was reviewing the OT and PT leading up to the release of Force Awakens, I had a bit of trouble trying to put numbers on some of the movies. I mean, the prequels are bad, but they are still Star Wars. I wonder about the people who say they love Star Wars, yet hate the prequels, the Disney stuff, and anything other than the first three (sometimes two) movies. Disney has actually done a great job producing content... Rebels is a great cartoon that has gone to far darker places than even the movies have wanted to tread. The Force Awakens is a better Star Wars movie than any of the Prequels were... it's also a better movie, quality wise, than any of them. It's probably the most quality product of any Star Wars film before it... the original trilogy included, when it comes to visuals, dialog, direction, etc. That doesn't mean it's better than the original three films... it's not. There was something magical in them that could not be recreated so easily, if at all, but that isn't a bad thing. For me, I put this one just below Jedi on the list. I'd still rank this one a four out of five in our completely arbitrary scale, though. I hadn't watched it since sometime last year, and was surprised that it was just as fun to watch as the last time, and how there were still little things to notice in it. I generally agree with your review. It would rank as fourth in my rankings behind the OT, maybe 5th behind Rogue One. I think it had a couple pretty bad missteps though, the whole rathcars (SP?) scene was pretty terrible I thought and the movie was just too similar to ANH (even if done purposefully). Also, what happen to all the A-wings, Y-wings, and B-wings the fleet had? They couldn't come up with new versions of any of these. I had thought about putting the rathtars scene in there, but that's more of an Abrams motif thing than anything (unfortunately - seriously, it was in both of his Star Trek films and came up so many times in Lost where people were running from some random monster). It was dumb, but it's also sandwiched by some really great stuff between Rey and Finn, and Rey and Hann. As for the other ships... that sort of fits into the point about the background being needed to understand some stuff, and most of it is around what the resistance was. It wasn't like the Rebel Alliance, which, while illegal, had far more funding and support from official organizations. They are spread more thin, with no direct support from the Republic. The Republic fleet has A-Wings, B-Wings, etc, but they were also more or less destroyed along with the planet. We might see them in Last Jedi, since we see a lot more in the way of space battles in the previews, but we don't know yet. Technically, we saw part of a B-Wing... it was in Leia's shuttle. It was built out of leftover parts, the only official ugly we've ever really seen show up. I didn't know that shuttle was a modified B-wing. That makes me kind of sad. The X-wing got cool upgrades while the B-wing basically got converted into a shuttle pod. That's rough for us who think the B-wing is one of the cooler starfighters. You are definitely right about not giving enough background. I mostly stick to watching the movies and don't get into the EU or cartoons all that much so I didn't know that the resistance wasn't part of the New Republic and was just some small cobbled-together band of resistance fighters. I don't really see how the First Order could be large and organized enough to build the Starkiller Base, but not get the New Republic itself stirred up against them. My main problem with the movie (aside from the absurdity of the way the superweapon worked), was that it was kind of a downer. It didn't keep me from enjoying the movie, but I couldn't help but notice that pretty much everything that our heroes seemed to accomplish in the trilogy that was well-loved, and essentially EVERY implied happy ending, was mercilessly crushed and contradicted by this installment (and for the most part, it was all crushed in largely unexplained stuff that happened off-camera between films). The Empire was defeated? Apparently not, as something pretty much indistinguishable from them is still kicking around 20 years later. Well at least the Sith were defeated, right? Nope. Still, apparently, alive and well. Anakin was redeemed? Well, sort of, but he still manages to inspire evil 20 years later. Luke probably went on to found a new Jedi Order, though...oh wait, he tried and they were all slaughtered, and he then went and hid. But at least they DID establish a new Republic...which was then obliterated with one shot. At least Han and Leia lived happily ever after, though, right? Ooops. They seem to have split up, their son became evil and killed Luke's burgeoning Jedi revival, and is the one that took Anakin's example as an inspiration to do evil. Oh, and now Han is dead, too. Is there ANYTHING the heroes accomplished in the original trilogy that had any lasting positive impact? Not after viewing Episode VII. The only way it could have been more thoroughly negated is if the First Order had their headquarters on Endor, and their standard uniform was made of Ewok pelts. The background that we know, thus far, says that the Sith were more or less destroyed, and put into a state similar to what the Jedi were when Luke took over. Kylo Ren wasn't a Sith, per se, he was a "Knight of Ren." The little bit we know about Snoke also says he's not a Sith lord, so who knows. You're right about things being undone, but I'd also say a lot of them were shallow, and it does parallel a great deal of real life. I never bought that Anakin was redeemed (and that whole ghost thing at the end was nonsense no matter who it was)... one good deed does not undue the decades of evil he did. Past that, what we ultimately saw play out was something somewhat common when it comes to revolutions based on idealism. To quote the line from Hamilton... "Winning was easy, young man. Governing's harder." I mean, sure, for America it survived, but far more often you see stuff like the French Revolution, pretty much all of the conflicts in the middle East and South America more recently, and most other big wars. The revolution doesn't solve underlying problems that were created, and you're often left trying to figure out how to work with your former enemies at tomorrow. The First Order we saw seems to match a lot more what was in the original EU, just rebranded. There, it was the Imperial Remnant, and they went into a sort of peace and cold war, before sparking hostilities and eventually going for peace. The Force Awakens Visual Dictionary lays out some of the reasons (and is actually a pretty cool book that's worth the $20 or so) behind it. Mostly the Empire was effectively forced into an armistice treaty and the galaxy as a whole was pretty weary after some 40 years of war (and promises being made by the Republic that sounded an awful lot like what the Empire said). I would have liked to see something work, but the problem with the Rebellion always seemed to be that their only plan was survival and overthrow. There wasn't ever another step set out past that, and they were a nearly pure military organization... so it could be they were always doomed to ultimately fail. I'm not even saying that the grim state of affairs in Episode VII was unrealistic, just that it was kind of a downer for somebody who liked the original trilogy, and LIKED that it ended with something of a "happily ever after" vibe, with the heroes we came to love seeming to accomplish their goals and looking forward to a brighter future. My criticism isn't that it was implausible for things to go the way they did (though I think Han and Leia's son becoming THAT evil was kind of a stretch, done more for shock value than because it made sense), but more that they kind of retroactively tarnished the vision of the original trilogy by negating all its gains. When you think about it, the galaxy being at war again thirty years later actually makes a lot of sense. For instance, WWI was supposed to be, "The war to end all wars". People literally thought that there would never need to be another war. But after only twenty years or so, everyone was back at it again. Well, the public thought that, and politicians stoked it... but the period between WWI and WWII was more of a cold simmer and burn, marked by arguably just as much conflict but on a more regional and local scale. Historically, you can make a case that it was all really the same conflict. It was really only the economic collapse of the depression that stalled the start of conflict as long as it did. Always makes me wish we saw more of how the galaxy reacted to everything between the two movies, because it was context that was sorely missing.